In this lively and provocative study, Geoff Ward puts forward the bold claim that the founding documents of American identity are essentially literary. America was invented, not discovered, and it remains in thrall to the myth of an earthly Paradise. This is ParadiseTM, and American ideology imprisons as it inspires. 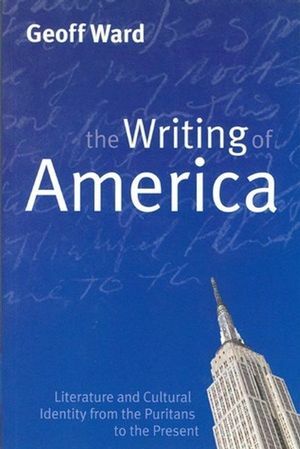 The Writing of America shows the tension between these forces in a wide range of literary and other texts, from Puritan sermons and the Declaration of Independence, through nineteenth-century classics, to folk and blues lyrics and the popular novel. Alongside his provocative reassessments of canonical writers, Ward offers new material on lost or neglected figures from the world of literature, film and music. His acute and often startling analyses of American literature and culture make this an essential guide to what Lincoln termed the last best hope of earth. Geoff Ward is Professor of English at the University of Dundee. His previous publications include Statutes of Liberty: The New York School of Poets, Language Poetry and the American Avant-garde, and (Ed.) The Bloomsbury Guide to Romantic Literature.